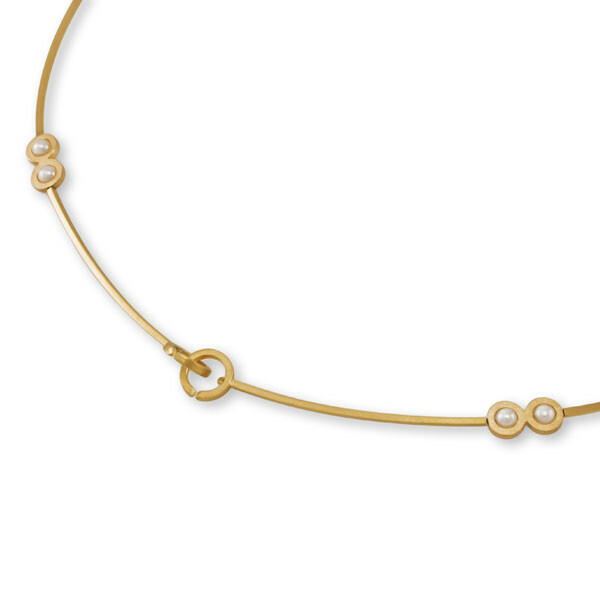 Small cultured pearls framed as couples alternate with delicate rods creating an almost strict, graphical impression. Yet the Point by Point necklace lies lightly and smoothly on the neck. 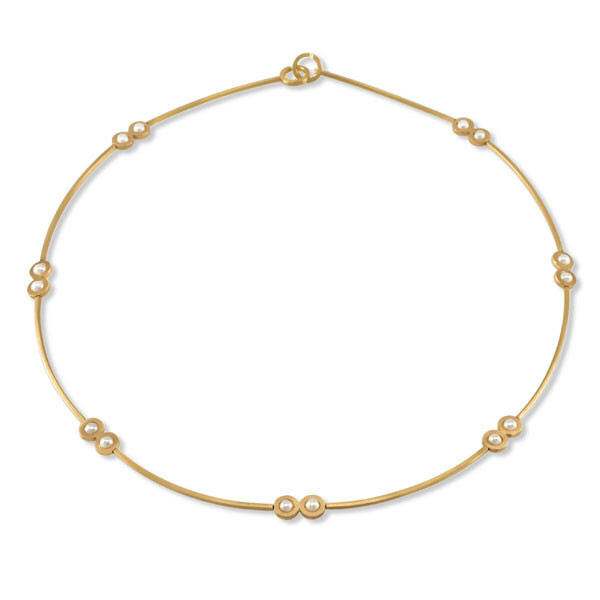 The eye clasp opens up in only one position and integrates harmoniously in the necklace.